This post is written by Laura Wainer. She is a doctoral student at the MIT’s Department of Urban Studies and Planning, and Housing+ conference curator. The provision of housing is a global challenge with an urgent need for innovation. Design is typically not an approach that comes to mind when one refers to housing affordability, whether at the scale of the house, neighborhood, or city. In its third biennial theme, “Housing+“, the MIT Norman B. Leventhal Center for Advanced Urbanism (LCAU) at the Massachusetts Institute of Technology explored this global phenomenon through the lens of interdisciplinary and multi-scalar approaches. The structure of the biennial leaded by Adèle Naudé Santos was inspired in a “learning by doing” process. In association with local and national governments, philanthropic institutions, and international agencies, the LCAU hosted seven workshops where faculty and graduate students of Architecture and Urban Planning focused on different challenges of affordable housing provision in Africa, Asia and Latin America. The biennale culminated in an international exhibition and conference hosted on May 3 to 4 at the Media Lab, MIT. The Housing+ conference included 33 practitioners and academics from all over the globe, who explored the interpretations of the “+,” extending the design dialogue beyond the scale of the housing unit. Panels investigated the ways in which housing design interacts with aspects of community building, large scale planning, public space, construction industry and infrastructure. The following summary presents the key topics of the two-day discussion. Most of the participants of the conference emphasized on the transformed nature of the current housing deficit. They argued that today, the most significant housing deficit, in both emerging economies and developed countries such as the U.S., is qualitative rather than quantitative. For the last twenty years, national governments have delivered subsidized houses for the lowest income populations at massive scale. Contrary to performing poorly, governments in Africa, Asia and Latin America had proved great efficiency in this housing delivery scheme. 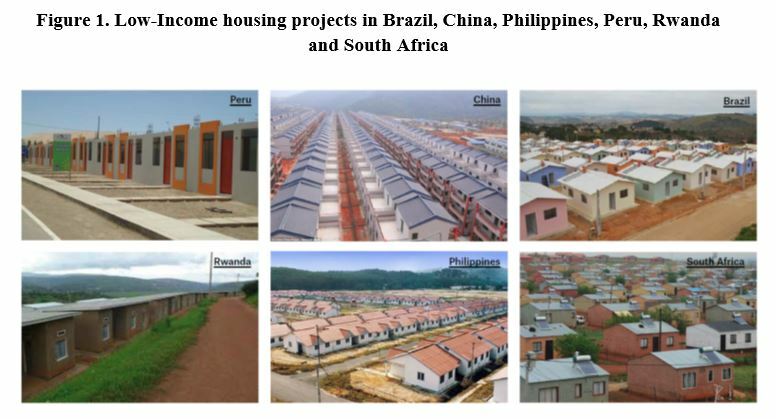 For instance, summing up the figures of the countries of the MIT workshops (Brazil, Colombia, Guayana, India, Peru, Rwanda), the national governments delivered about 4,609,600 housing solutions for the lowest income populations. However, this sudden, extraordinarily simultaneous expansion of low-income national housing subsidy programs, targeted to both the demand and supply, shows that despite the different political, institutional, demographic and economic contexts, their housing policies produce the same industrial-like neighborhoods located on the outskirts of cities. We also see a homogenization of house design and construction technologies that look similarly inadequate. 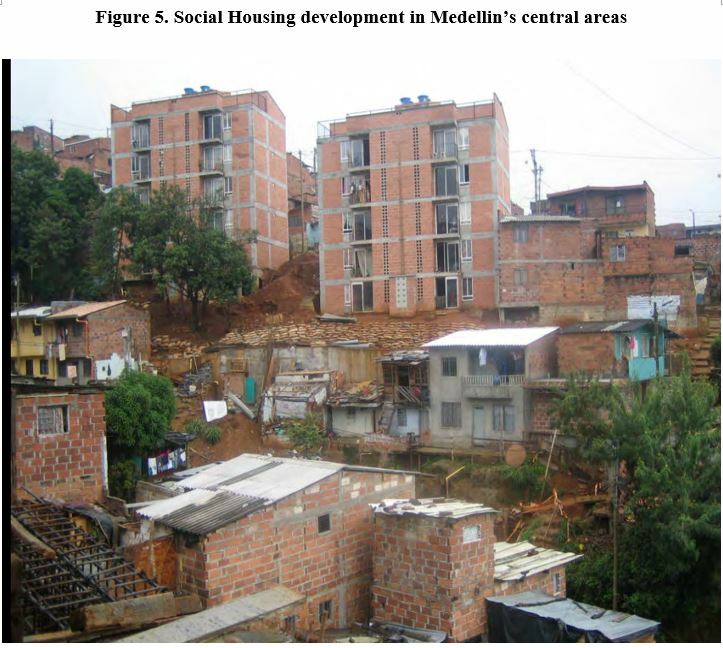 Empirical research in Mexico, South Africa and Colombia demonstrates that families often abandon these houses looking for proximity to jobs, education centers and health care institutions. Nora Libertun, a housing market expert at the Inter-American Development Bank, presented her research about the housing developers’ decision making for building in peripheral areas in Latin America. She said that one of the biggest challenges for housing policy is how to shift from a rationale of ‘economies of scale’ production to an environment where building affordable housing in inner cities is an attractive investment opportunity. Diane Jones, Program Director for Landscape Architecture at the University of Texas, studies the relationship between housing and infrastructure access in the U.S., specifically the phenomenon of “transit desserts.” Jones argues that this scenario is not as different in the U.S., and that the qualitative housing deficit is “a hidden problem” in suburban areas of the country. These industrial-like housing landscapes are re-shaping the urban form of cities and have ecological implications at a broader territorial scale. Kazi Ashraf, Director of the Bengal Institute, argued that the unprecedented scale of development in Bangladesh is transforming the natural landscapes of the country with significant impacts on food production and climate change. A great deal of the H+ conference consisted of sharing international and U.S cases that successfully interconnected design, financial and social innovation. Practitioners discussed about the challenge of scaling-up micro practices to systemic housing solutions. Andy Bolnick, Director of Ikhayalami, presented the “re-blocking system,” an in site upgrading, participative design intervention that couples innovative shelter and infrastructural solutions with the spatial reconfiguration of informal settlement layouts. She claimed that scaling-up is not just matter of quantitative replication but also how innovations are adopted by the public sector. While Slum Dwellers International was capable of spreading the re-blocking system among the grassroots federation, the city of Cape Town presented several difficulties to incorporate re-blocking in their informal settlements upgrading policy. 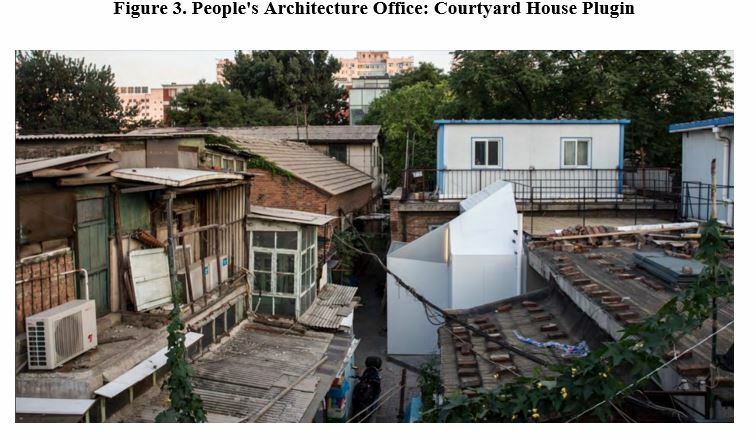 James Shen, founding director of Beijing-based People’s Architecture Office, presented the Courtyard House Plugin, a prefab system that efficiently upgrades and expands homes without demolition or relocating inhabitants. He explained that their approach is to think of scaling-up in terms of customization –instead of standardization– by creating flexible solutions that focus on systems rather than an architectural output. Associate professor in the MIT Department of Architecture Larry Sass told the audience that to build prototypes is easy but to scale them up to systemic housing solutions represents one of the most difficult challenges in the construction industry. He and Anupama Kundoo highlighted the importance of “contextual technologies.” Reducing costs often relates to standardization, mass production, industrialization, but in a post-industrial era reducing costs must pair to be flexible enough to adapt innovation into different contexts and expressions. From the same perspective, Nathalie de Vries director and co-founder of MVRDV, and Christoph Heinemann from the Institute for Applied Urbanism in Berlin, showed examples of “suited standards,” a combination between participatory processes and the architect’s ability to transform users’ decision making into standardized design solutions. Successful but not mainstream, these approaches should be a core agenda of the design education in the future. Andrew Freear, Professor at Auburn University Rural Studio, and his team consider participatory design as a quintessential part of low-cost housing innovation in Alabama. Housing policy or housing politics? Alejandro Echeverri, director of URBAM, presented his insights about Medellin’s successful redevelopment, which included the construction of thousands of well-located, affordable housing units in the city. For Echeverri, Medellin’s success relied on a “political momentum,” that the city is not experiencing today. He asked, how can non-governmental actors interested in social justice create governance conditions for reducing inequality in our cities? 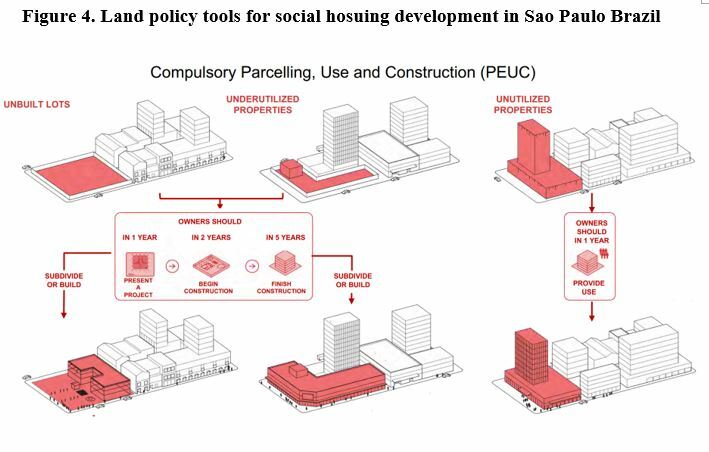 Echeverri, Libertun, De Mello and housing expert Robert Buckley also questioned whether the housing agenda is a matter of social justice or political agreements with large scale developers and the construction industry. In this line, housing expert professor Lawrence Vale asked: what affordable housing should afford? And Steve Weir, from Habitat for Humanity claimed that integrated solutions for systemic change should include multi-scalar and multi-sectorial approaches that include public, private, civil society, and also households. Focusing on qualitative aspects of housing implies revisiting how we measure housing deficit and monitor the impacts of interventions in the short and long term. The new UN Sustainable Development Goals and Habitat 3 called for increased attention to improve measures of urban issues and housing. However, many speakers at the H+ conference highlighted that more data is not necessarily better data. Like the attempt to construct new cities without addressing the fundamental problems besetting the existing ones, attempts to create new urban indicators fail to appreciate just how weak existing data is. Without better data, accountability for public expenditures cannot be achieved. Diane Jones showed how aggregate transport data is built on racial biases in the U.S., MIT professor James Wescoat asked how we can develop metrics to measure and evaluate quality of life, Anupama Kundoo spoke about the challenges of measuring design impacts in both affordability and quality of life. The limits of data and how we monitor the impacts of housing policy also speaks to a timing question: When is the appropriate time to measure the outcomes of a housing intervention? Philip Yang, founder of URBEM, showed award-winning affordable housing projects in Brazil that ended up in decayed, failed experiences for the families in the long term. 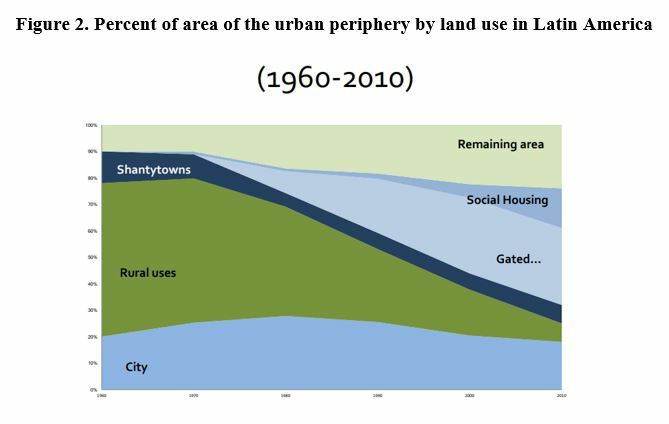 Thus, better data implies to think of which metrics can be more sensible to context, geographies and culture; and at the same time, which metrics we should standardize to understand the scope of the housing challenge at a global scale in a market that responds to both local and international dynamics.